Today we take a look at McKeesport, PA's Renziehausen Park Rose Garden, Arboretum, and the McKeesport Regional History and Heritage Center. This is one of the nicest urban parks in the state, home to the second largest rose garden in the state to those at Hershey Gardens. Renzie's Rose Garden has also been rated as one of the ten best in the country. Renziehausen Park was started with a donation from the estate of the Renziehausen Family, who also donated a house on their property to be used as a convalescent center for diabetics, and donated a huge sum of money to build a new ward at the former Childrens Hospital in the Oakland neighborhood of Pittsburgh. The family made their fortune in distilling, known for the former "Large" brand whiskey. Their estate, coupled with a Depression era WPA project creating infrastructure, helped the Rose Garden open in 1938. The Rose Garden is operated through volunteers from the Garden Club of McKeesport. Renzie's Arboretum surrounds the park. Within vicinity are the McKeesport Regional Hertitage Center with a one room schoolhouse that dates back to 1832, a fishing pond, playing fields, and a classic bandshell. Each August, the park plays host to the city's annual International Village festival, celebrating the different cultures that have built up the region. The roses are still looking gorgeous, here in late October. Coupled with the vibrant autumn colors from the arboretum, the roses look great. Remnants of the New Deal era infrastructure shine through in this park. 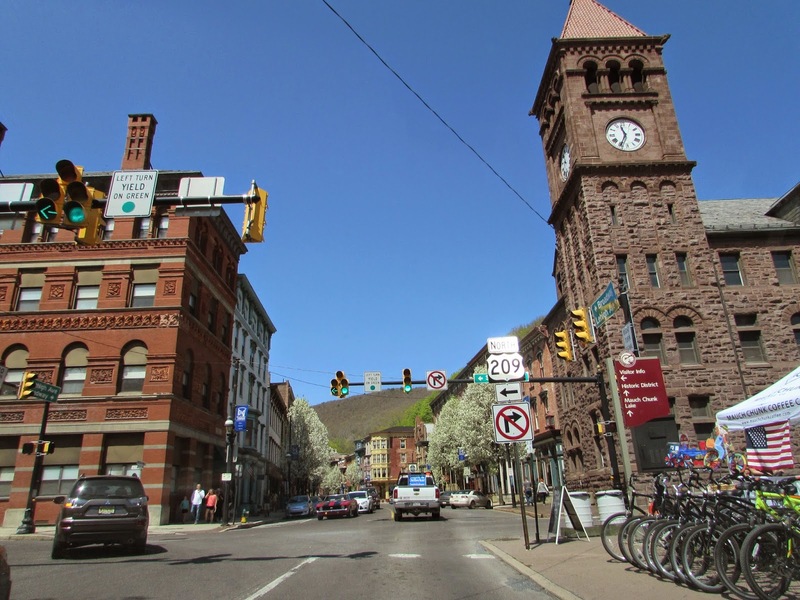 McKeesport is a town that has been front and center in our nation's war efforts. 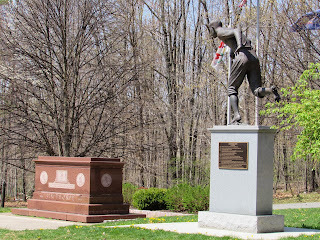 Currently and historically, this city has given amongst the highest numbers of war veterans in the nation. The historic industry in McKeesport greatly contributed to what FDR coined, "The Arsenal of Democracy." Factories in McKeesport, as they did across the nation, converted to the war effort in World War II. Through and through, McKeesport has paid, and continues to pay a huge price, when it comes to the armed forces. For this fact, there is a tremendous amount of pride within the city. A serene setting for a relaxing stroll. Be sure to check out McKeesport's Renziehausen Park's world class Rose Garden, Arboretum, the McKeesport Regional History and Heritage Center, and the rest of the offerings at Renzie Park. Searching for interesting things to discover and enjoy? 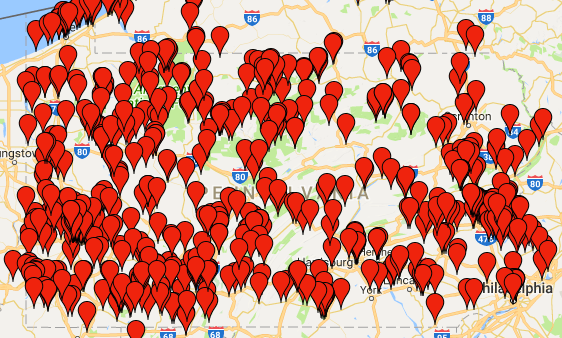 Here is a map of things to do, a map of destinations and cool places that we have visited within Pennsylvania and within a manageable driving distance of the state. 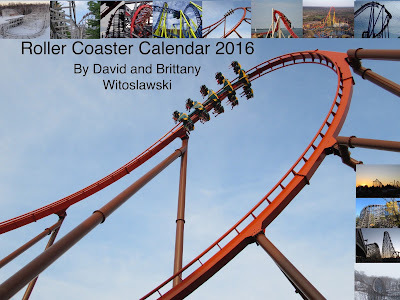 For the amusement park related destinations, we utilize articles from our other page Coaster Talk No BS Zone. This feature will be a work in progress. contacting us. If you have suggestions on places to visit, let us know in the comments, or through messaging the page. By no means is this map all encompassing of the great places this state has to offer, it covers places that we love. Be sure to reference this map for some travel ideas, or ideas on places to visit while you are traveling around our beautiful commonwealth. 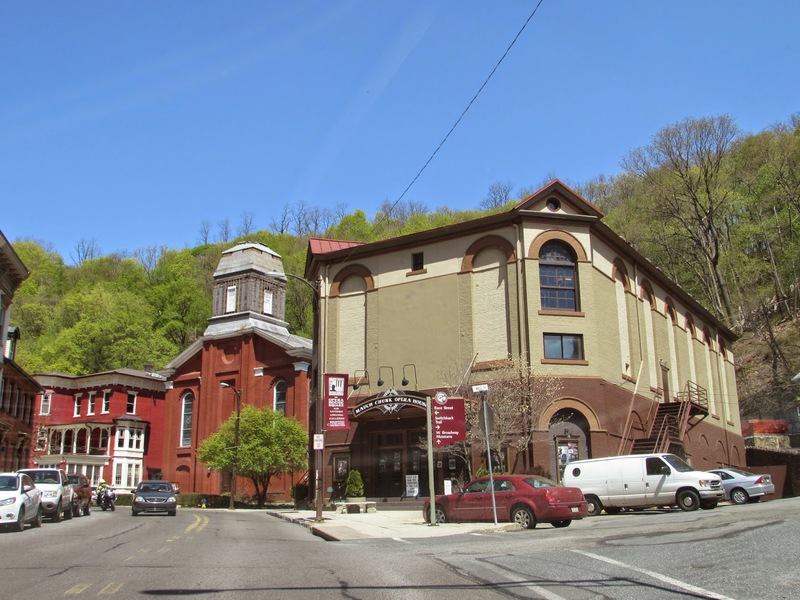 When it comes to cool towns across the state of Pennsylvania, Jim Thorpe, PA is one of the most eclectic towns across the entire state. I visited on one of the first warm days in the spring and the town was hopping with people hanging out in restaurants, riding the scenic railway, biking, motorcycling, and walking around. 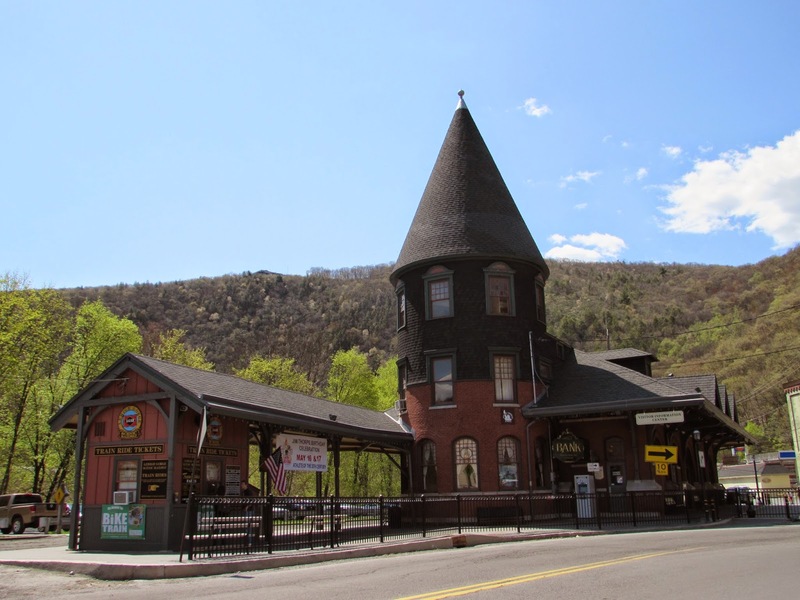 Known as "the Gateway to the Poconos," this town is also the crown jewel of the region. The only other town I can think of that has this similar feel in atmosphere and architecture is Durango, Colorado. This is a beautiful and quirky little mountain town that just feels alive. 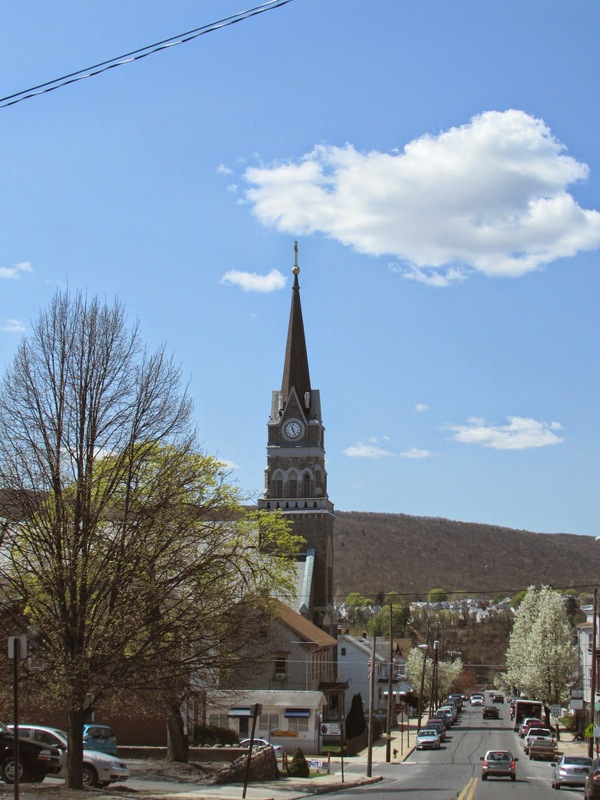 The town started out named as Mauch Chunk, which in Munsee-Lenape Delaware Native American languages translates to Bear Place. 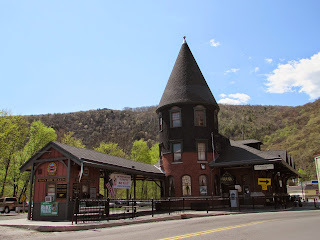 The town flourished upon the completion of the gravity fed Switchback Railroad, the second American railroad, that carried coal down to the Lehigh River where it was taken by the Lehigh Canal and by rail to market. The Switchback Railroad served a dual purpose, when people discovered that riding downhill in the railcars was very thrilling, which in turn led to the creation of roller coasters. Once the railroad stopped being used for coal, it stayed open exclusively as a roller coaster that people traveled from all over the place to ride. The Switchback Railroad is considered by many to be the first roller coaster. All of this industry led towards the creation of a boomtown, that remains almost completely intact. 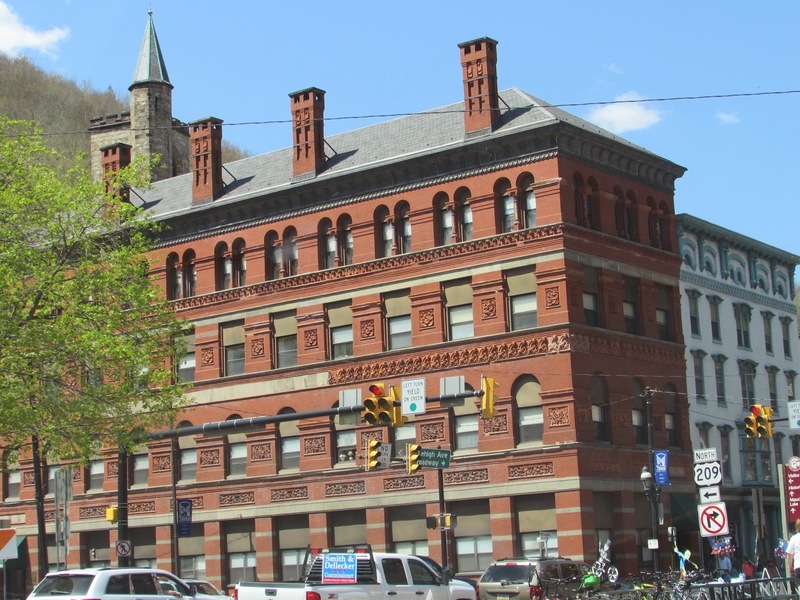 Not only have the buildings in this beautiful town remain intact, they are also utilized. Unlike many of the other boomtowns across the state, all of the buildings are in use for one purpose or another. This is a must see town with so many great boutiques, restaurants, and more. That is not to say that this town has one of the quirkiest/strangest histories of any town in the state. The town was home to some of the famed Molly Maguires, an Irish American group that, amongst other goals in the Irish homeland in the midst of the unrest during the potato famine and problems with England, advocated for better treatment of coal miners in the anthracite coal mining region in Northeastern Pennsylvania. The conditions for workers were absolutely atrocious, and the American economy was in shambles at that point. The Molly Maguires stood up against the owners of the coal mines, but their method of doing so often involved violence. Several of their trials on criminal charges were held in the town that eventually led towards hangings. The trials were often said to be unfair, and understandably so, because much of the testimony came from the Pinkerton guards, the same organization that killed nine people a few decades later on the other side of the state during protests at the Homestead Steel Works. 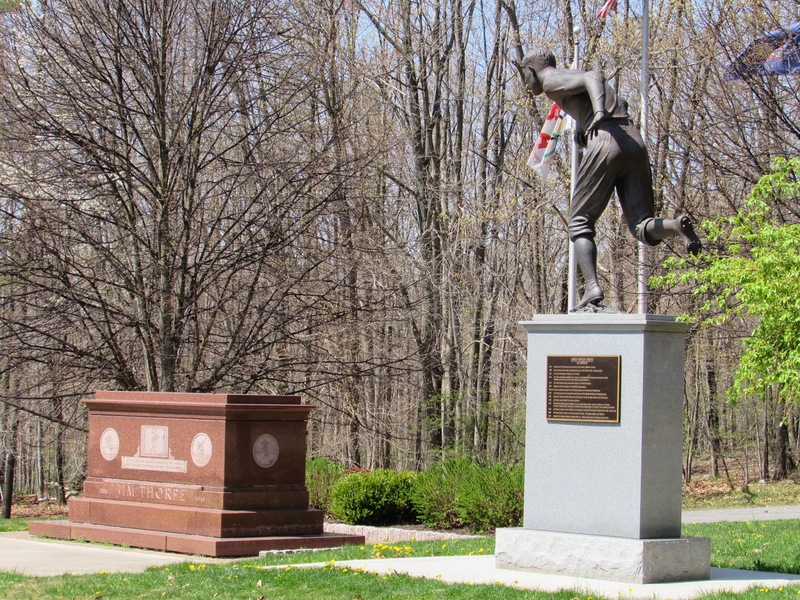 The second famous strange situation occurred in 1953 when the famed Jim Thorpe, one of the best athletes of all time, passed away and his home state of Oklahoma refused to create a memorial for him. His family was in the midst of a fundraising effort to create a monument, since the state of Oklahoma refused to appropriate funding to create a memorial in his hometown of Shawnee. 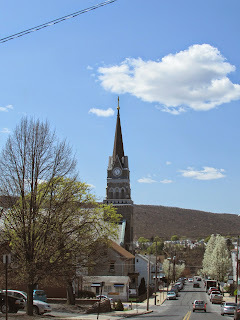 Thorpe's third wife went behind the backs of the rest of his family and sold his remains to the towns of Mauch Chunk and East Mauch Chunk, where they buried him and built this memorial. The two towns were joined into one, and the town of Jim Thorpe was created and named after this great athlete that never took even took a step in this town when he was alive. 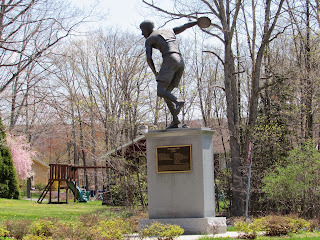 Southeast of the town is Carlisle, PA, the former home of Carlisle Indian School, a college where Jim studied and became an All-American with his athletic feats. It is neat being able to give tribute to this great man, but the circumstances behind this are extremely strange. Here is a great read on the feelings of Thorpe's family. Now entering the downtown area of Jim Thorpe. Here is the beautiful train station. 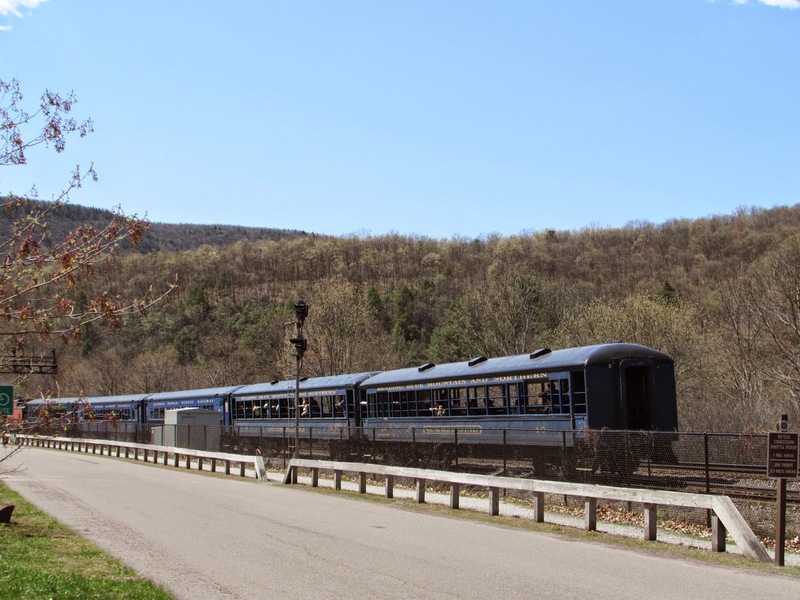 It is still utilized by the Lehigh Gorge Scenic Railway, which offers a beautiful ride deep into the Lehigh Gorge, including going by Glen Onoko Falls, one of the coolest mountain waterfalls around. The buildings in the downtown area are exquisite. Throughout the downtown area there are a number of restaurants, boutique stores, and more. 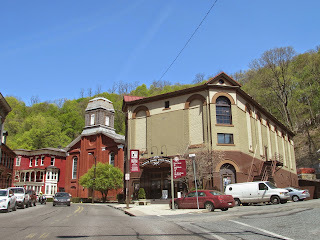 This is the stunning Mauch Chunk Opera House that dates back to 1882. This concert venue offers a wide range of concerts in all genres of music. A Canadian folk band named the Wallin' Jennies even recorded an entire album in this venue. 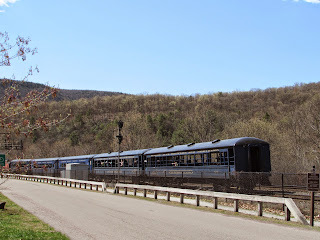 Here you can see the Lehigh Gorge Scenic Railway in action. I highly recommend checking out this quirky little town in the middle of a beautiful mountain gorge. Today we visit Robinson Falls, said to be the first recorded geologic documentation within the state of Pennsylvania by one of the settlers. In January 28, 1786, James Hutchins, the man appointed as "Geographer of the United States," the only person to ever hold this official government title, reported it to the American Philosophical Association in Philadelphia, and this goes down in history as the first official geological observation in the state. Some evidence says that he made these observations in the summer of 1784, when he was helping survey the Mason-Dixon Line. The falls are located on the western edge of Connellsville on Opossum Run, approximately a half mile before it flows into the Youghiogheny River. The falls are roughly 22 feet tall. There was some good flow today. The view of the small limestone gorge. With how much damage the region faced with old industry and mining, it is pretty remarkable that these falls have sat practically undisturbed for this long. The namesake of the falls, James Robinson, opened up a small mill and distillery on the site. The descent to the bottom was pretty easy, so those of you who like to check out falls will have an easy time checking them out. Just beyond the intersection of Falls Avenue and Independence Avenue you will see a bridge. Just before the bridge, there is room for a couple cars to park along the side of the road. The falls are no more than 50 feet from that spot. Today we look at the Carmichaels Covered Bridge in Carmichaels, Greene County, PA. It dates back to 1889 and crosses Muddy Creek. It is 64 feet long, 15 feet wide, and is one of nine covered bridges within the county. It utilizes the Queenpost Truss system and is stunningly well maintained. I highly recommend checking out this beautiful covered bridge. The following map shows the location of the bridge within the town of Carmichaels in Greene County. We decided to drive around for a while, as we usually do on weekends, despite the dreary weather. We stumbled upon the Conemaugh River Lake and the Tunnelview Historic Site of Indiana County. Here is the massive Conemaugh Dam. The Conemaugh Dam was erected as a flood control measure after the devastating St. Patrick's Day Flood of 1936 in Western Pennsylvania. Kinzua, Youghiogheny, Loyalhanna, Conemaugh, Crooked Creek, Mahoning Creek. Tionesta Lake, and Tygert Lake Dams were all built under the Flood Control Act of 1938, many of which also provide recreational opportunities in addition to their flood control and navigational purposes. So the dam is pretty neat thing to see by itself, but we decided to continue on the road through the recreation area and go into the adjacent Tunnelview Historic Site. The people in Indiana County do an excellent job preserving and opening up access to areas of navigational and industrial history, as well as taking care of scenic areas, as seen in the county's Buttermilk Falls Park, southeast of Tunnelview. Indiana County does an exceptional job recognizing their heritage and creating public places for the community to enjoy. The area we are entering is known as Bow Ridge, a particularly treacherous section of the Conemaugh River. Here you can see two generations of railroad heritage, with the upper bridge being built in 1952 and the lower stone arch bridge being built in 1907. The end of the old stone arch bridge leads into the Bow Ridge Tunnel. Here is the east portal of the tunnel. This tunnel was closed when the dam was built, and then sealed in order to ensure that the river valley remained sealed off to stave off potential floods. We need to get back to do some exploration around this area. You can see the bridge piers from the 1867 alignment of the West Penn Railroad. A tunnel is mostly buried on the end of the old bridge piers. The 1907 alignment utilized the existing stone arch bridge, used for vehicular and pedestrian traffic, and the 1952 alignment runs on the steel bridge that we showed earlier. The fabled Western Division of the Main Line Canal also ran through this area, though it is fully submerged with water now. That tunnel was the third built in the history of the United States and was part of a system that linked Philadelphia and Pittsburgh by a mix of rail and canal. The eastern end of that canal portion started with water flow from the lake that would eventually fail in the horrific Johnstown Flood of 1889. The canal ended in Pittsburgh with a giant bridge across the Allegheny into Downtown Pittsburgh. The Tunnelview Historic Park has one of the few remaining right-of-way remnants of the Western Divison canal that went out of use in 1865. We will be sure to get back to do some more exploration at this place that is rich with transportation history. Here is the location of the Conemaugh Lake National Recreation Area and the Tunnelview Historic Area is adjacent. As you can see, the West Penn Trail, a beautiful trail, runs through the area.